The title pretty much sums up my time since I returned from the Alps with Ben. Obviously I have missed a few normal life things that you wont want to hear about but I have been super busy with work and climbing. With a little time off before I started work again, I was really keen to see how much my rock climbing strength had altered over the last few months where I have been mainly mountaineering or dodging rain. I started off with some success by climbing the brilliant Uncertain Emotions (7b) on Craig A'Bhancair on Buachialle Etive Mor. This came after 3 visits but still really chuffed to pull this out the bag, especially as it has been such a hard summer. After gaining a bit of fitness, I went to Creag Dubh with my flat mate Blair (good snow patch photos) and headed up to Barrier Wall and between us accumulated 12 E points between us spread over 4 routes. I felt pretty broken by the end of this, think it was the combination of too much wine the night before, the baking hot sunshine and the steep nature of the crag. A top day though! This day marked the end of my time off and work began! First up was a day up on Ardverikie Wall (HS) with Paul. Not a great deal to say about this other than it was perfect. Sunshine, nice breeze, great company, brilliant climbing and lots of other climbers out. A really social-able day on an uber classic line. From here I had a stint on the Isle of Skye, brace yourself....it was amazing weather! I was so lucky and so excited to be up in those mountains with endless views and a warm glow from the sun. First Skye job was to take the lovely Alison up the Inaccessible Pinnacle and over to Sgur Mhicoinich. This had been her nemesis for years but with some care, coaching and coaxing we both made it to the top for a well earned rest. We had the summit to ourselves where we basked in the sun for a while. The team, but on which peak? My traverse clients, Simon and Harry, were given the bad news on Friday that the traverse would not go ahead. High winds, lots of rain and very wet rock would not lends itself to an enjoyable, comfortable and successful traverse. Instead we opted for two single days, aiming to be off the hill to enjoy showers, pillows and duvets. Our first day we climbed Pinnacle Ridge and continued to tick off the Northern 3 Munros on Skye. Also including Am Bhastier and its tooth as well as a descent down Kings cave chimney. Our second day was the brilliant Clach Glas BlaBheinn traverse. We had to have a delayed start to allow for the winds to ease and the rain to subside but it was clear that our late start was not late enough. We battled through wind and rain, over greasy and slippy terrain but ultimately completing Skye's fantastic satellite ridge. On arrival to the summit of BlaBheinn we were greeted with no views but as we turned away from the summit it started to clear. Was it worth the battle? Of course it was. Harry and Simon hoping it would be a 'summer' holiday! After farewells with Harry and Simon, I met with my next group. This time 8 members, 2 guides, 11 munro's, suboptimal forecast....no problem (ish). I teamed up with Andy Ravenhill and we dissected the forecast to see when was best to hit the tricky summits and when to have a shorter day. The team fought well and worked well together and we succeeded in summiting all the peaks over 4 days. A great result all round. It has appeared Skye has gone back to normal but such is life. Ok, we had a good couple of weather windows. This concluded my work on Skye for this year and I had to head straight to North Wales for an induction to become a British Mountain Guide. After a welcoming power point presentation and an over view of the scheme (3+ year), I was taken to Gogarth sea cliffs and tested on my ability to rock climb at the standard of E1 5b. As events proceeded I ended up climbing Resolution Direct, a brilliant E2 5c on the edge of main cliff and this was enough proof to the assessing guides that I could operate at the standard they require. 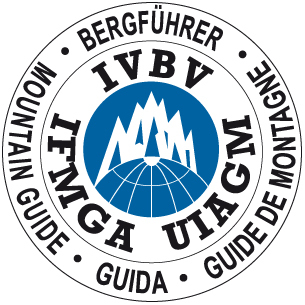 The following two days were spent being trained by experienced British Mountain Guide's in the advanced skills that will take me beyond the remit of my current qualifications and allow me to work in the Alps and worldwide. A long standing ambition. My last ever mountain logbook! After the course I spent two days climbing by the sea, firstly at Gogarth with Ally Swinton. We climbed 3 E2's and an E5 which left us both feeling quite tired and today we went sport climbing at LPT on the Great Orm where we both maxed out at 7a+...we put it down to been very tired from the last few days. The following few months are looking super busy, I will mostly be in Scotland getting ready for winter and this year instead of going to Spain for some sport climbing I will be heading to a little island on the Aegean sea. Can wait! If your already dreaming about winter then get in touch and we can make your Scottish mountain ambitions come true. Click HERE for some ideas. Thank you to West Coast Mountain Guides, Skye Guides and Steve Fallon for work recently, it has been a blast!